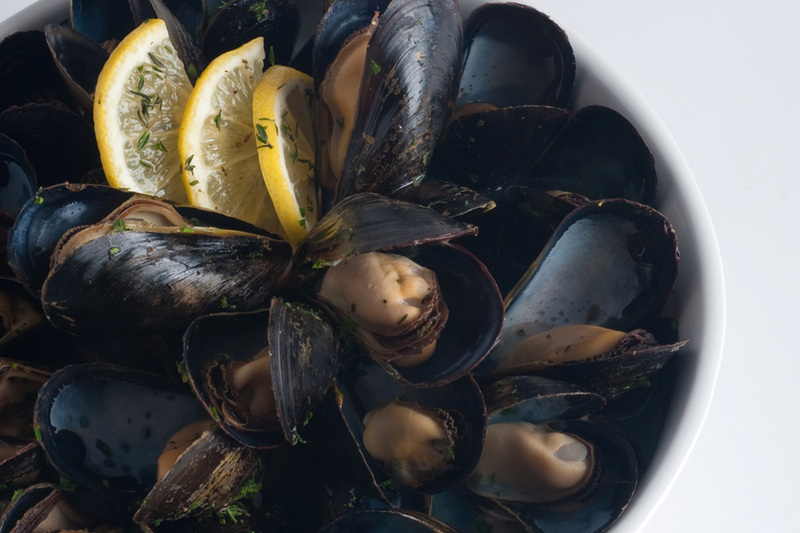 Clean mussels, place in large pot and steam until the shell open, 5 to 7 minutes. Drain broth into a saucepan, add thyme and parsley, cover and simmer for 10 minutes. Pour in the broth mixture.